A lot of people questioned my sanity when I purchased this VERTU CCAV-S saddle online for just 780 yen. Others though really wanted to know how it turned out for me, so here is my verdict. I bought this saddle for commuter bike which is essentially a mountain bike with a few changes here and there to make it what consider to be the best kind of commuter bike for the city in which I ride. You'd think I'd opt for a more comfortable saddle, not something sleek, narrow and light but I had other things on my mind when I made the purchase. I was riding with the stock standard padded saddle that came with my bicycle for years and never gave it much thought until it started to split. But being cheap, even a split saddle isn't uncomfortable so I kept on riding regardless. Then the rains came and to my surprise what looked like a perfectly dry saddle was really a sponge which when squeezed (or in this case, sat on) would release all the water trapped inside right into the seat of my pants. So when I saw this saddle online it had a lot of things going for it. It was cheap, really cheap. It was also green and given I've chosen green parts to complement my frame it was perfect. But above all if this saddle was left out in the rain, which my bicycle often is, then a quick wipe with a cloth and there'd be no surprise drenching when I sat down. But I had some doubts. It sure looked narrow and hard, and I wasn't sure what to expect in the way of quality for such a low price. I bought it anyway figuring if it turned out to be a dud I hadn't wasted a lot of hard earned cash. So how is it? After fitting the saddle I realized I had to increase the height of the seat post, because even that thin padding on your saddle makes a difference to your seated position. On first ride I was really aware of how I could feel all the road vibrations through the seat, not in a bad way, but I could feel the surface of the road as I glided over it. It also didn't feel too narrow nor hard as the plastic has a lot of flex which absorbs some of the shock. I've been cycling with this saddle for over 6 months now and for daily commuting I have absolutely no complaints at all, and as promised when left out in the rain I no longer ride home with a wet bottom. For longer rides, say upwards of 20 or 30 Km though I do begin to notice myself standing up in the pedals to give my sitting bones a break from the saddle. So for everyone who wanted to know, I've been pleasantly surprised by this saddle. 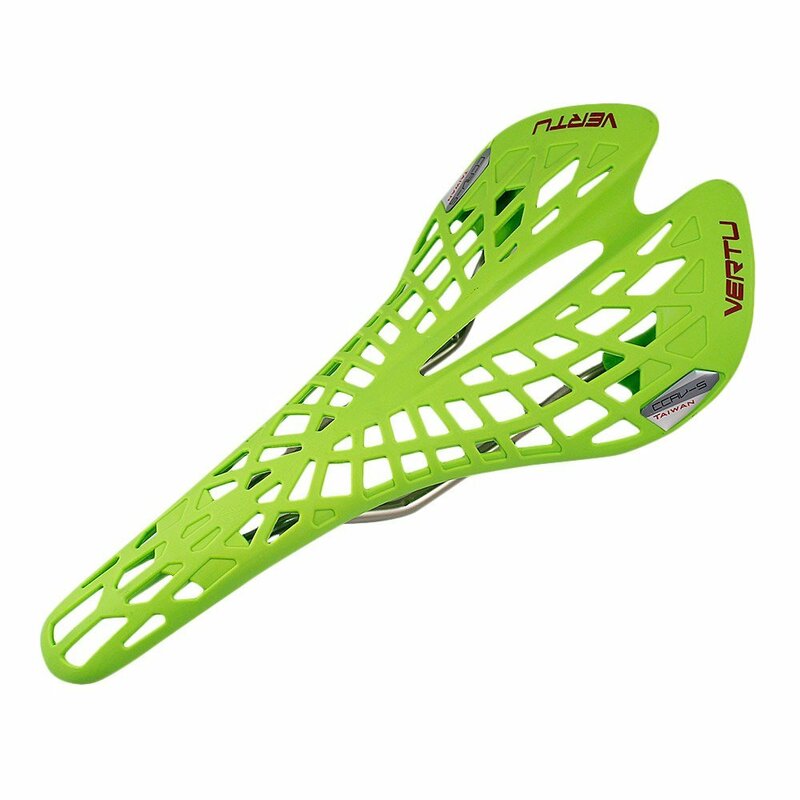 Its cheap, it looks great and rides well over shorter distances, but for longer rides you may want something more between your bum and the hard hard plastic. I've had no problems with the build quality and the plastic shows no signs or perishing or degrading even after being parked out in the elements more days than not. At the end of the day this cheap little saddle has worked out quite nicely for me and I'd recommend it to anyone on a budget. They come in a range of colours and for the price you'd ba crazy not to give one a try. Go get one today.